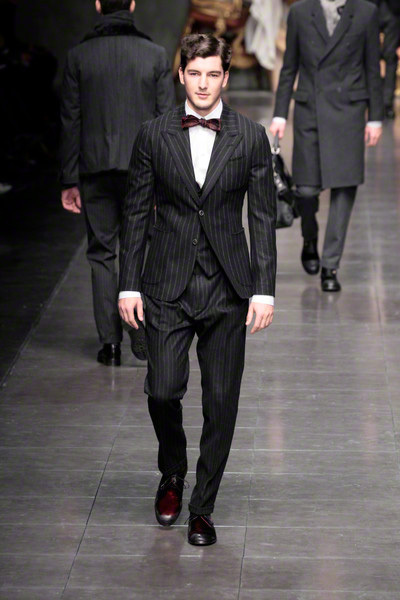 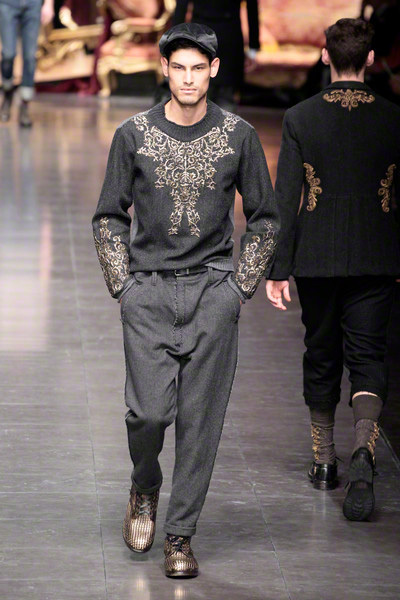 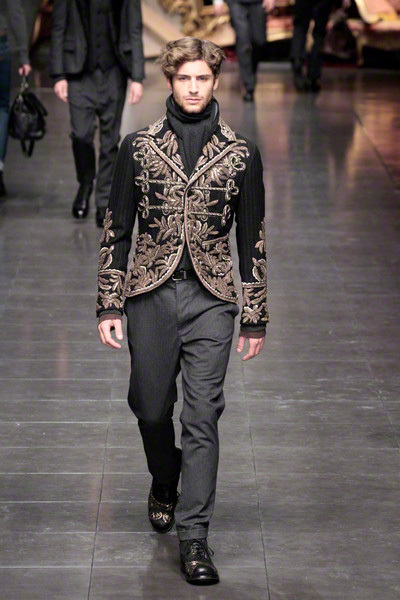 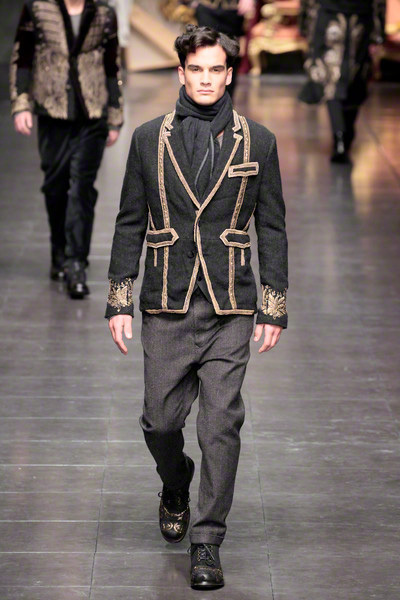 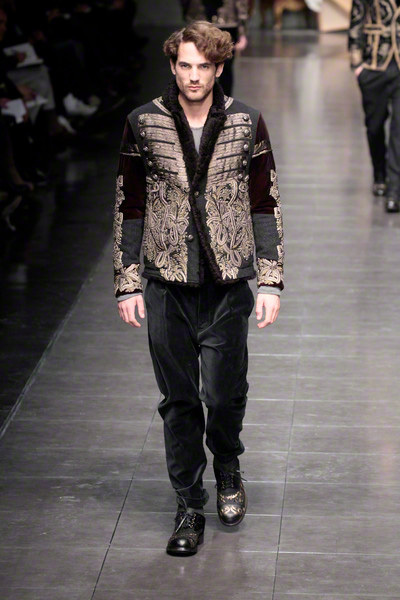 Domenico and Stefano’s ultimate male muse David Gandy didn’t walk in Dolce & Gabbana’s menswear show. 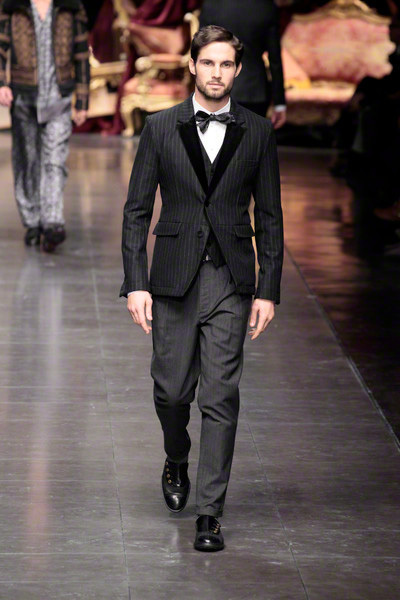 He attended the show as one of the special guests, next to Beyoncé’s sister Solange (who has just signed with Next Models) and a few Italian stars. 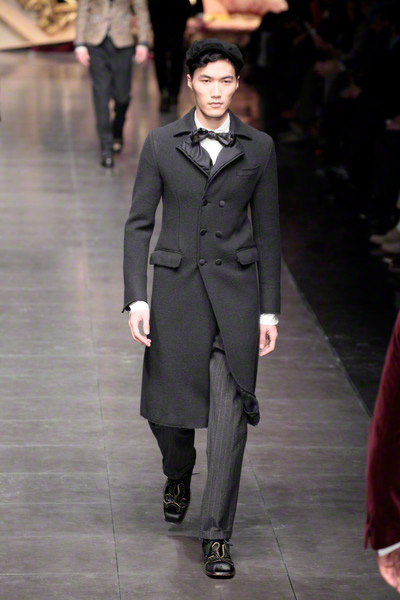 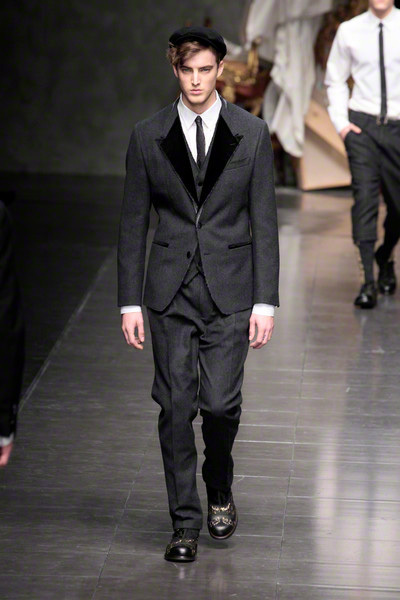 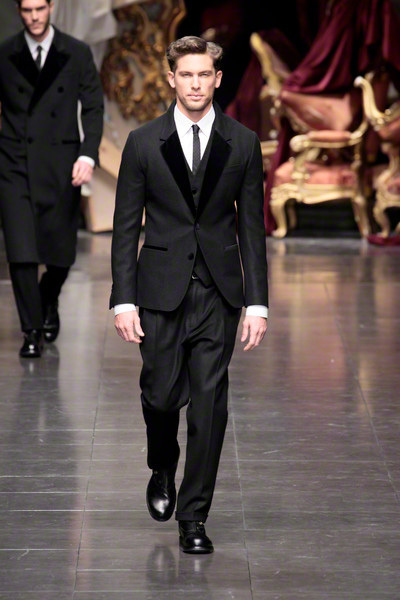 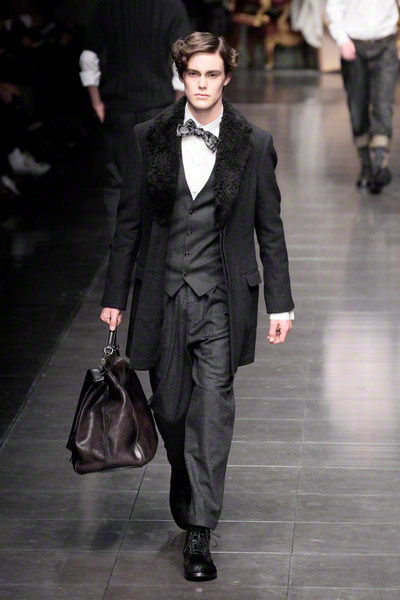 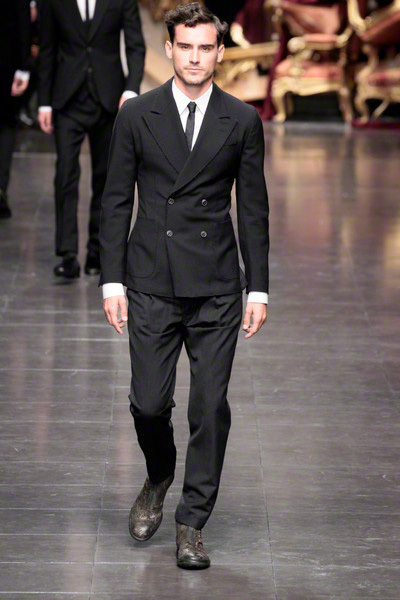 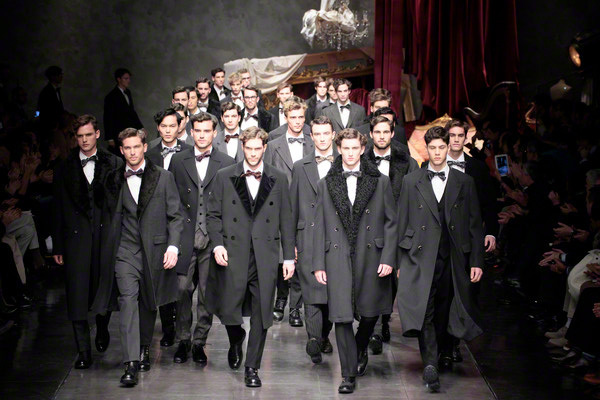 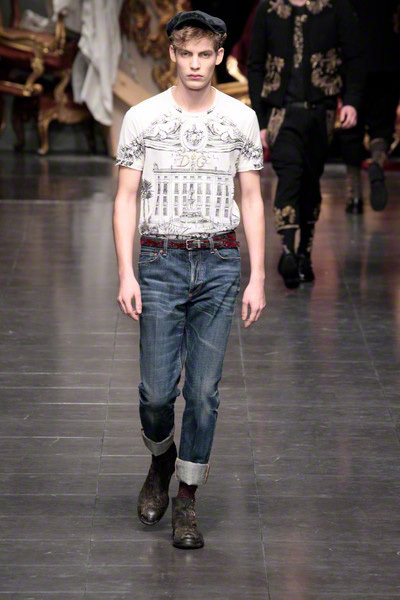 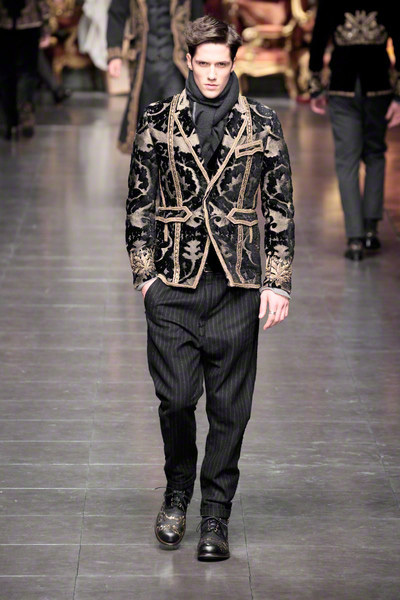 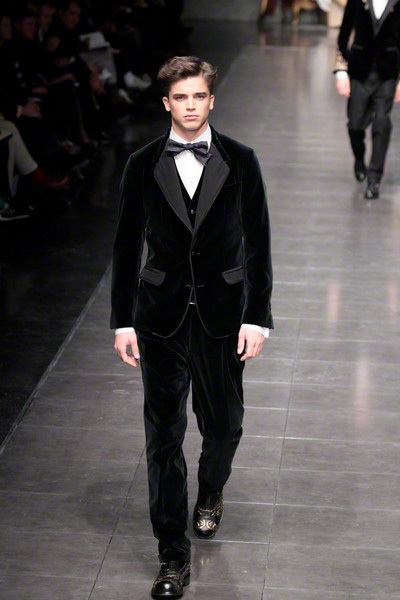 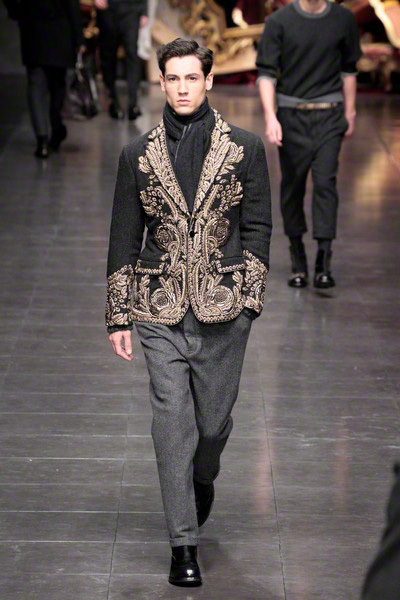 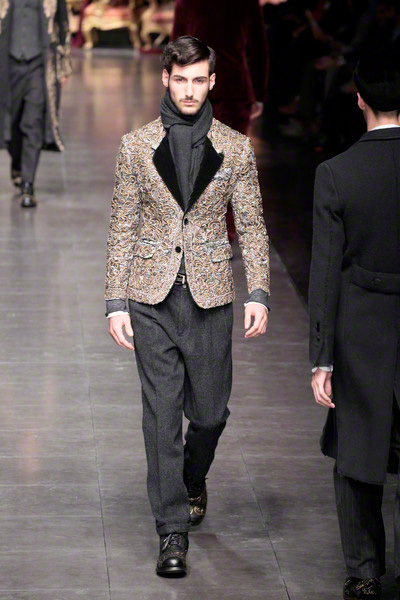 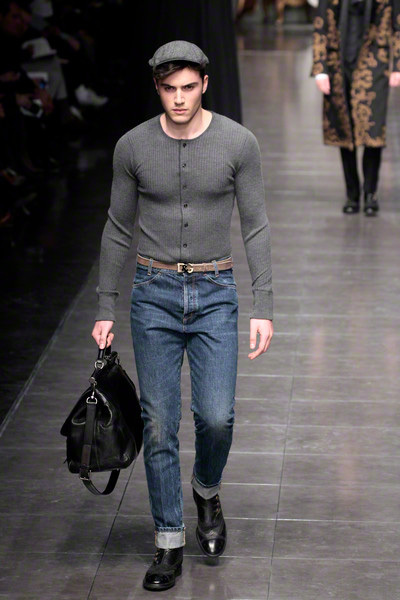 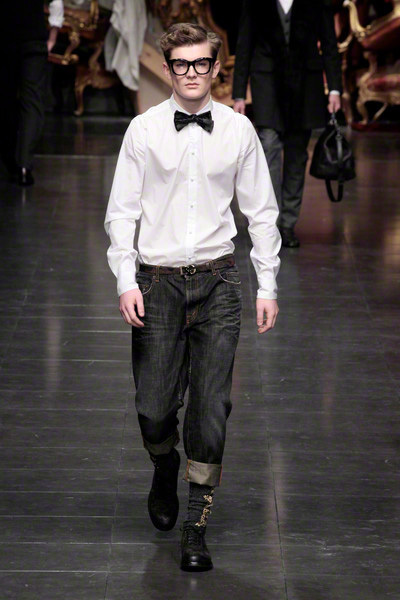 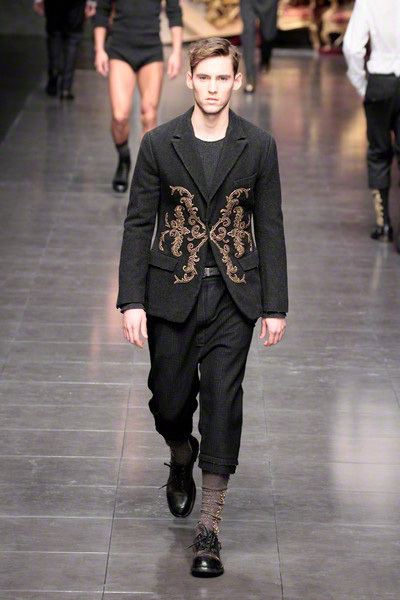 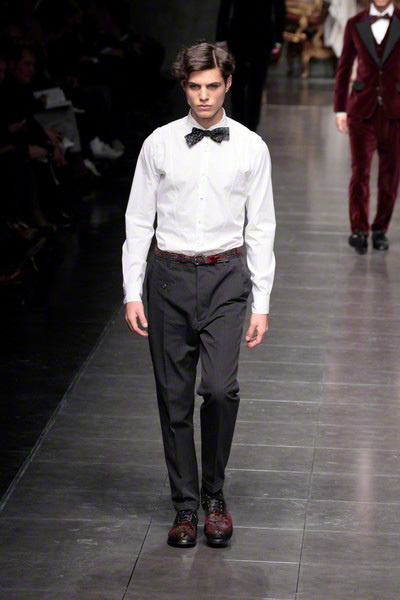 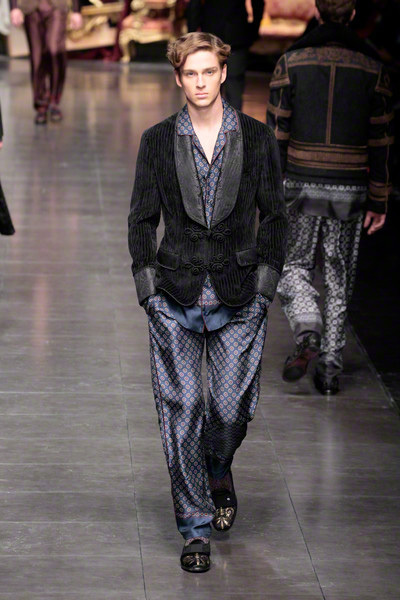 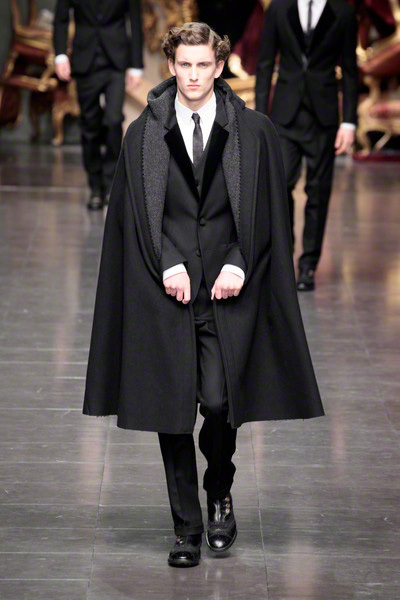 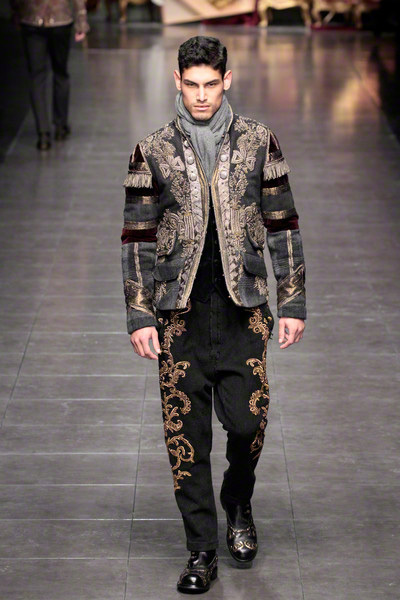 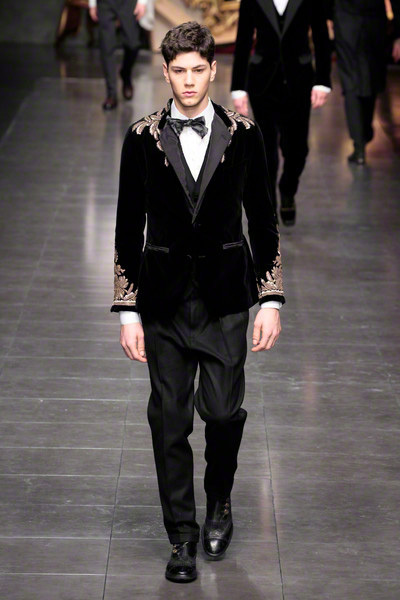 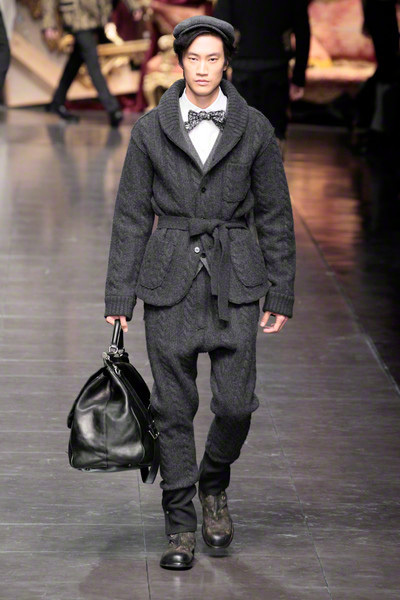 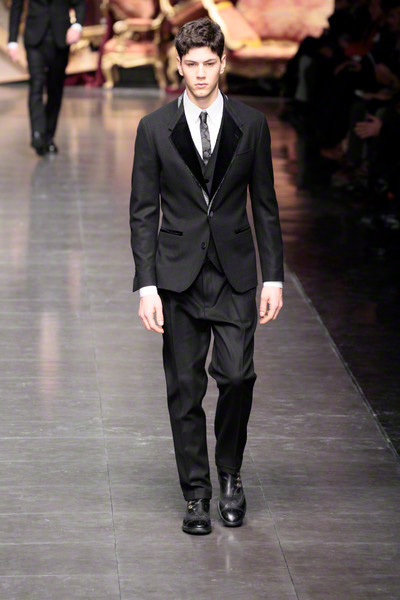 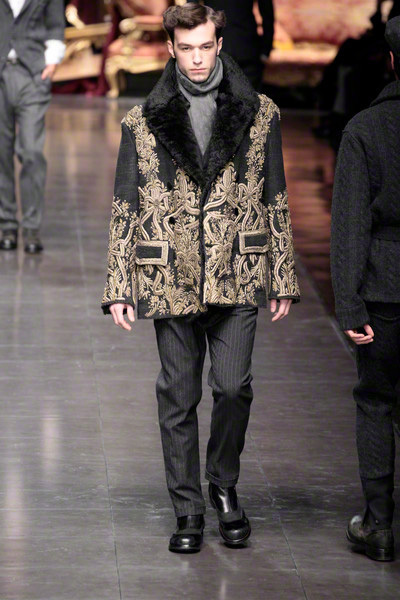 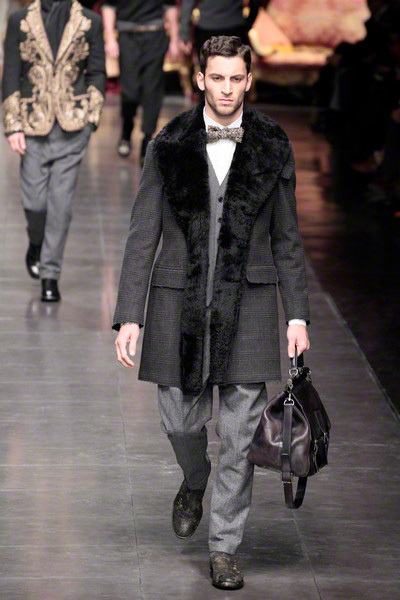 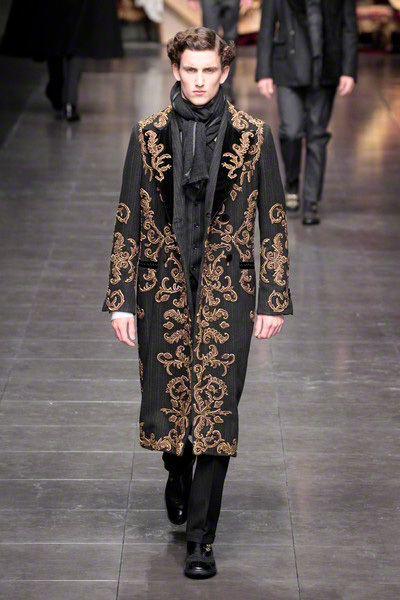 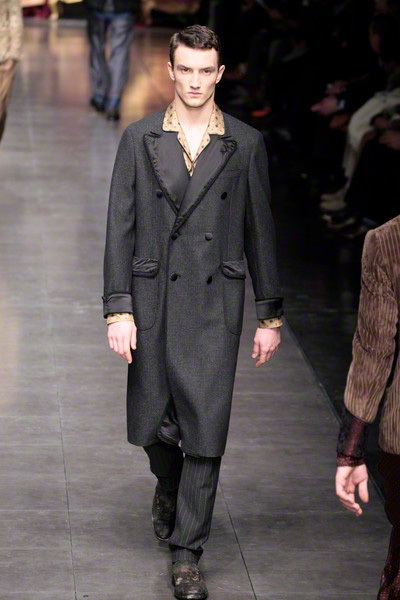 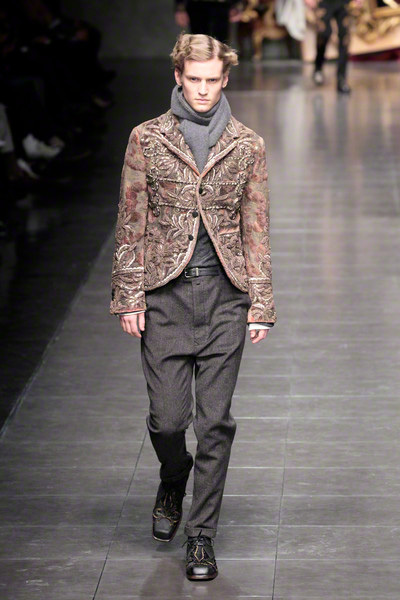 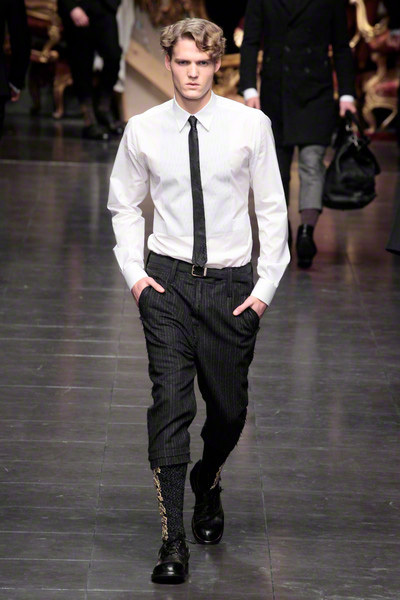 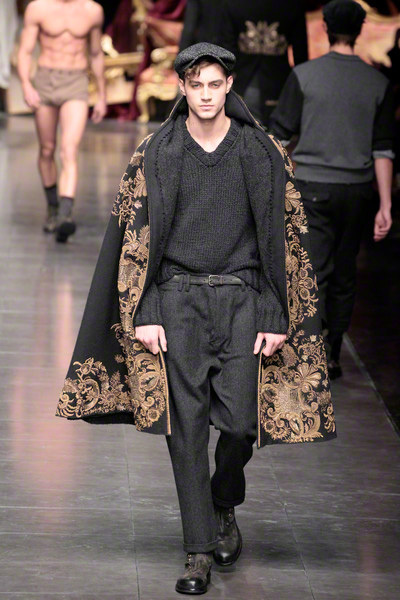 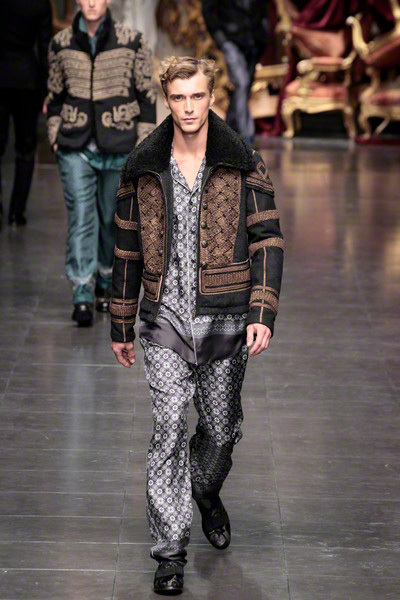 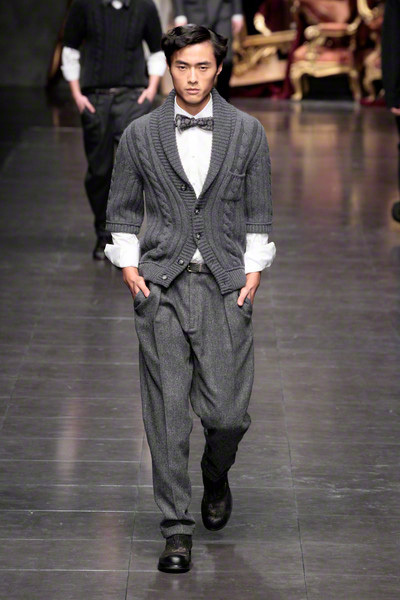 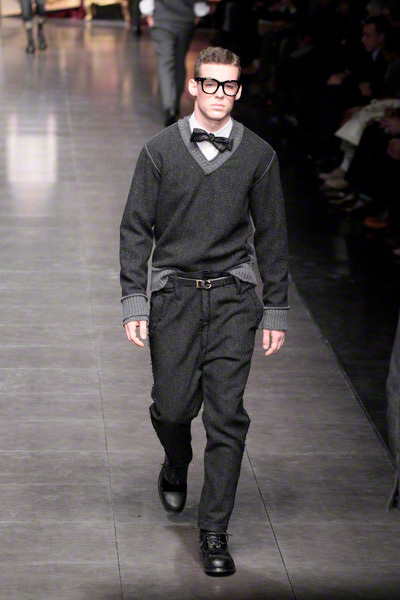 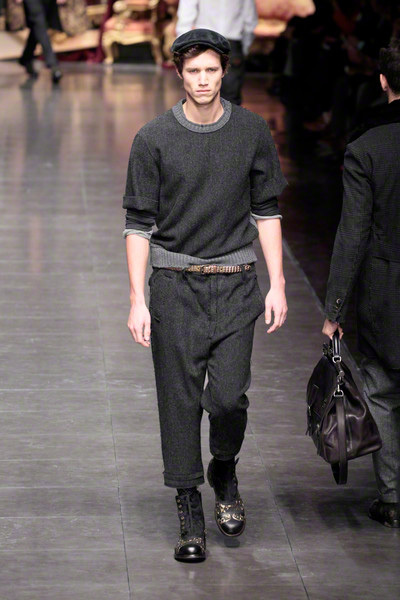 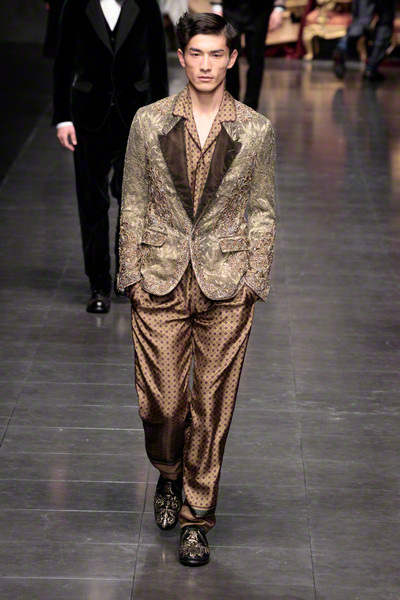 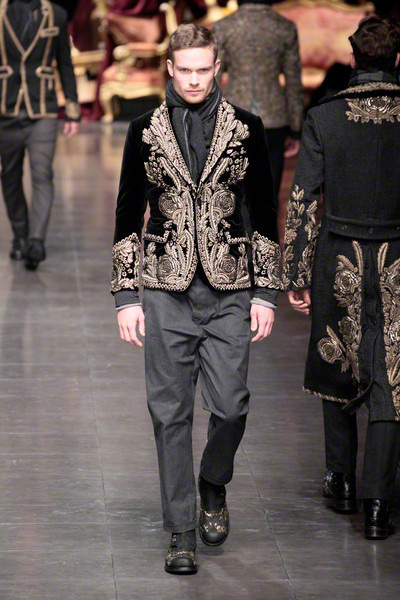 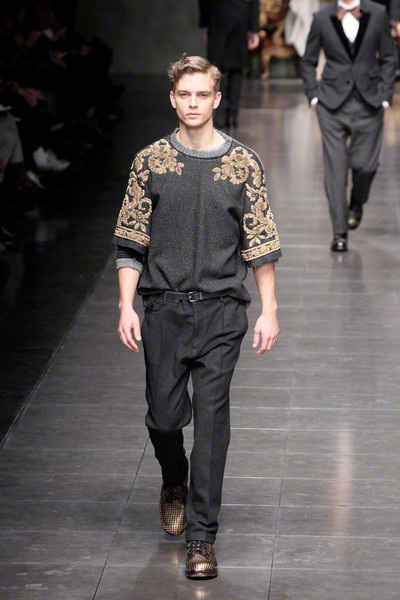 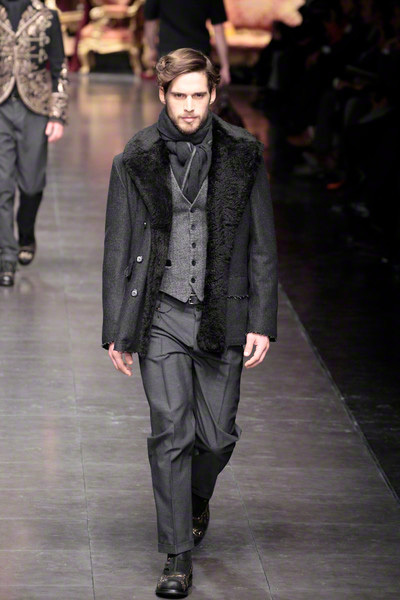 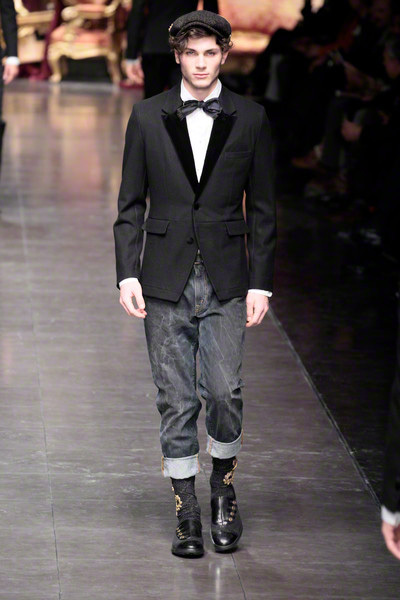 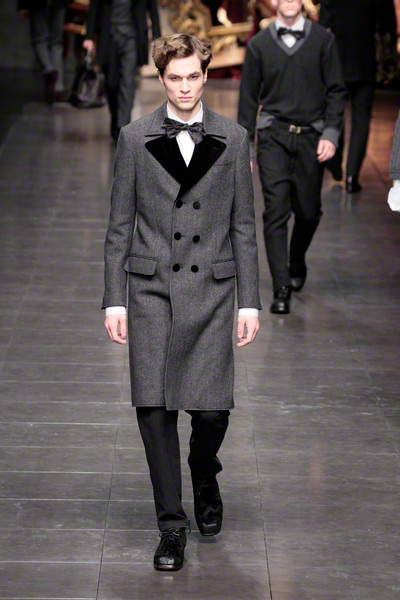 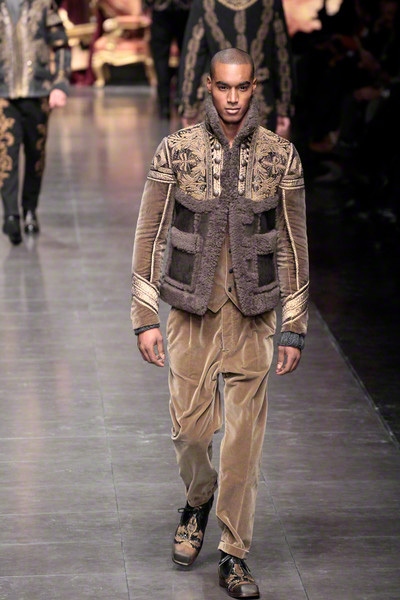 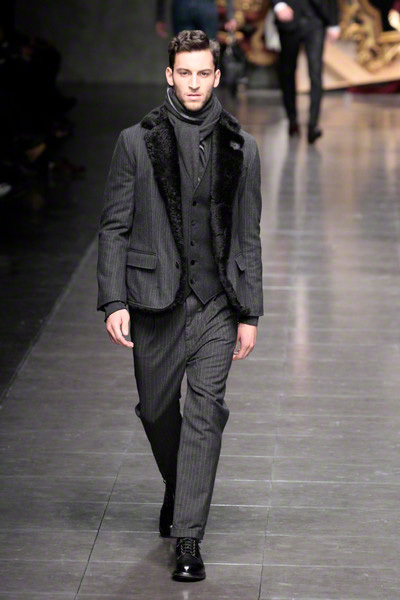 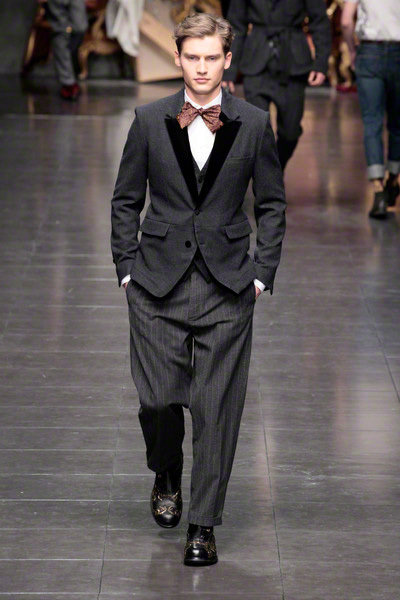 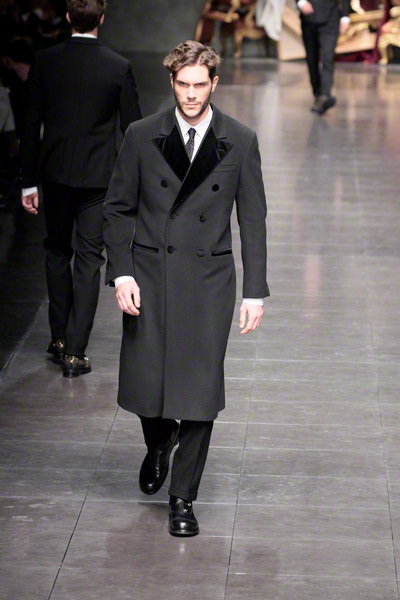 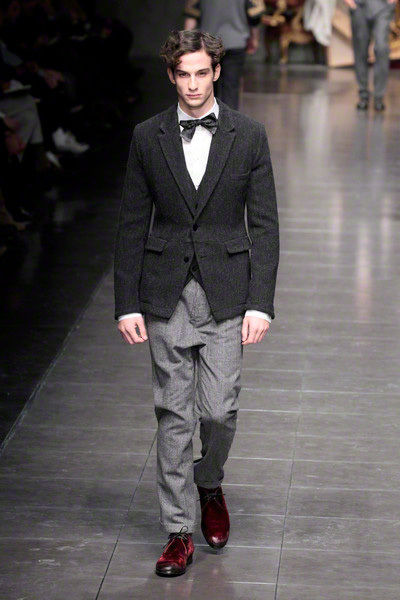 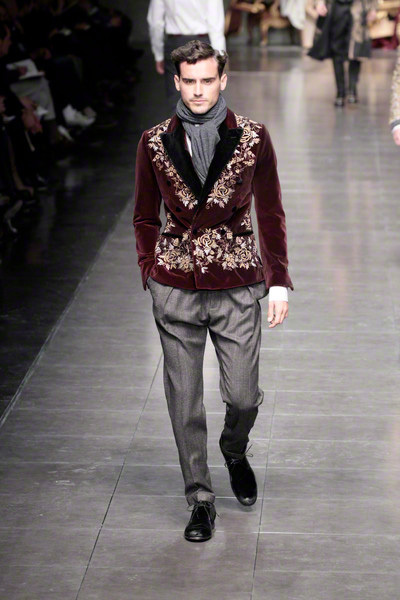 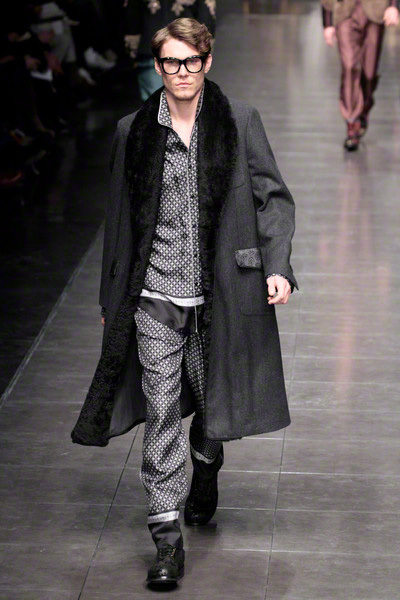 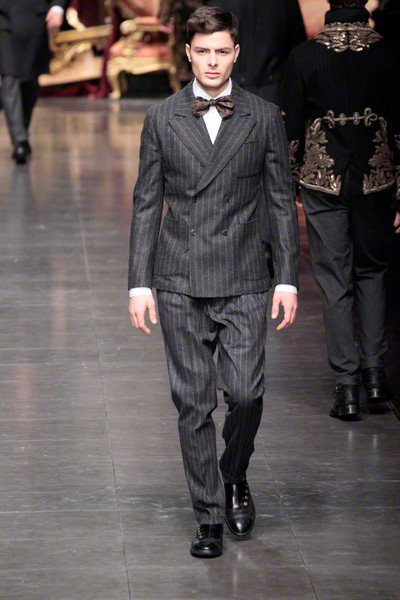 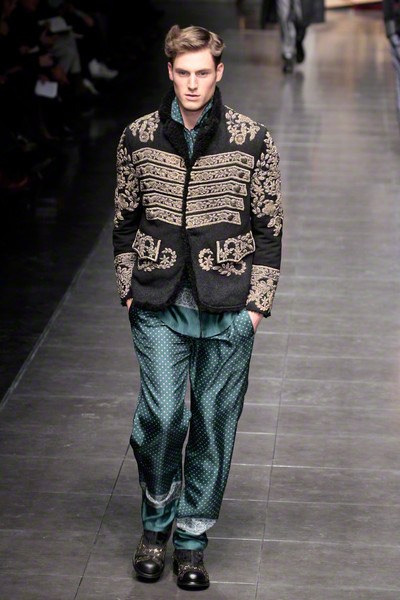 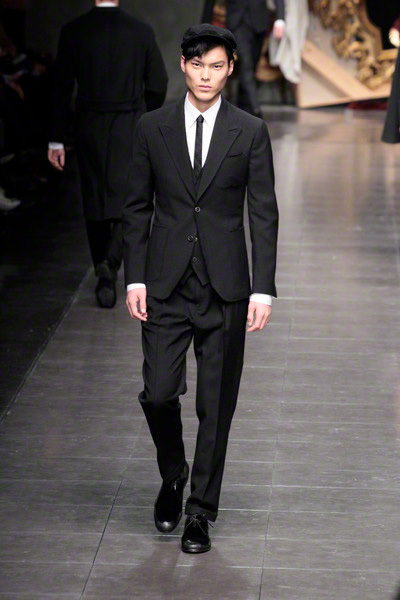 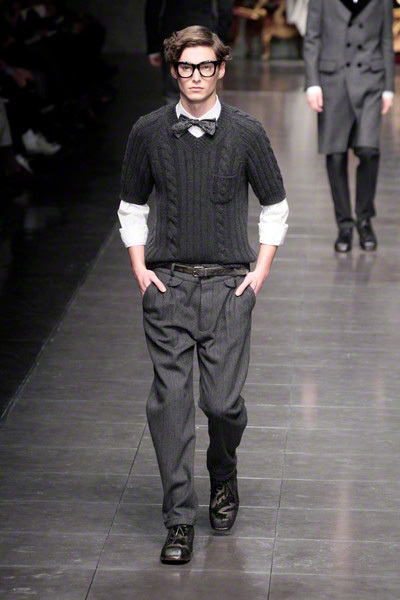 It was a classic and very Italian show, which had the brand’s masculine tailoring tradition as it’s starting point. 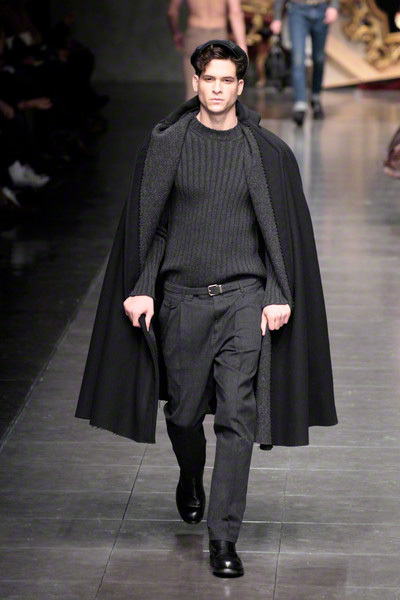 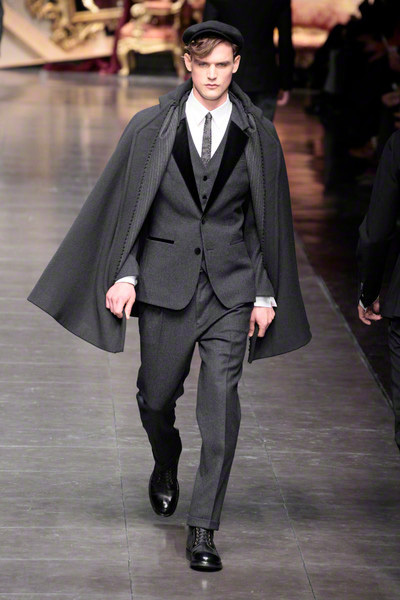 The collection was all about coats (and capes). 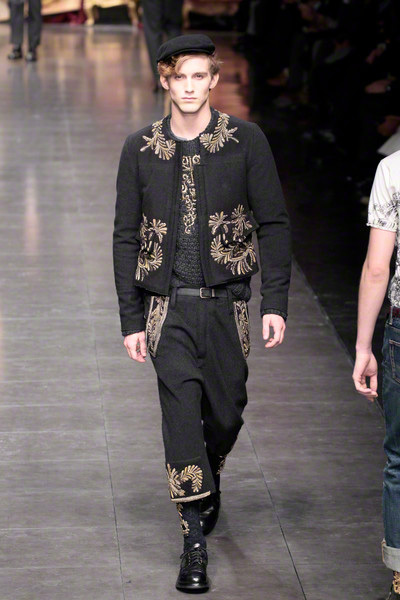 They were thick and heavy and looked rich due to the many golden embroideries added. 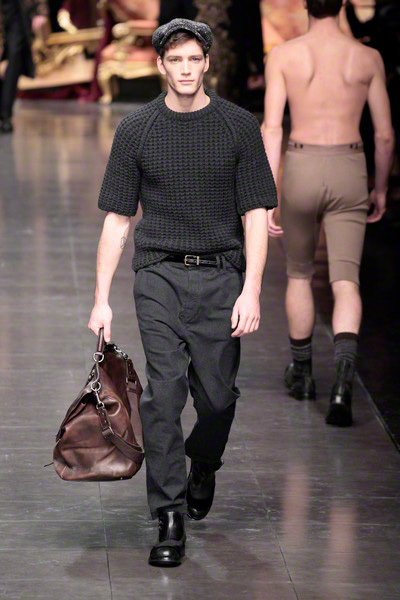 They formed quite a contrast next to few the shirtless guys in their camel colored Long Johns and boxers. 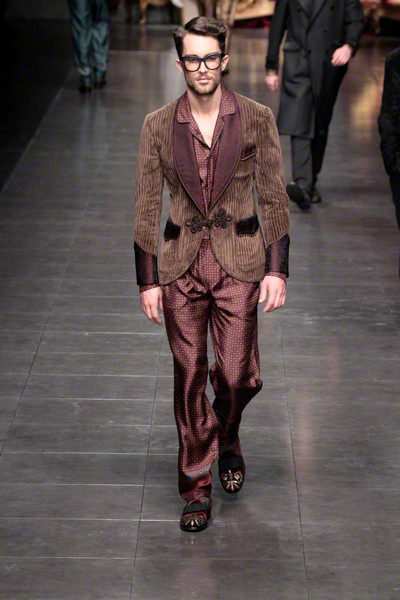 Yet it seemed bodywear was a big part of the show, since multiple silk pajama’s (we think: Chuck Bass from Gossip Girl) were presented along the way. 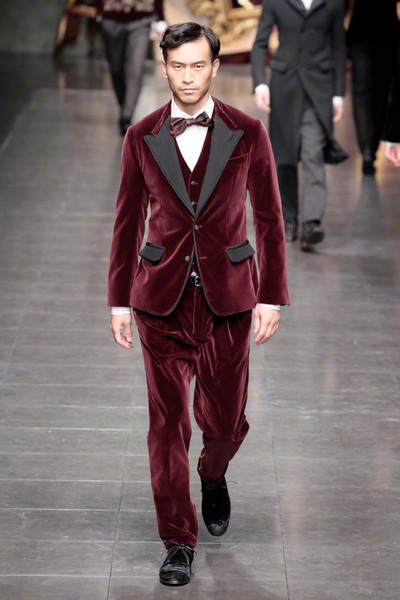 Pinstriped, burgundy, velvet or gold and shiny; there were more than enough evening looks to choose from, topped off by a playful ribbon bow tie and a Sicilian cap every now and then. 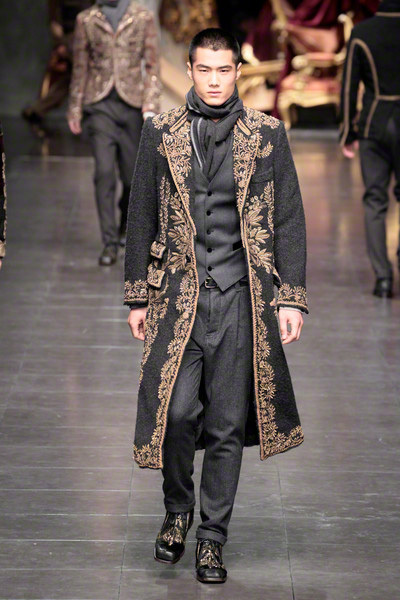 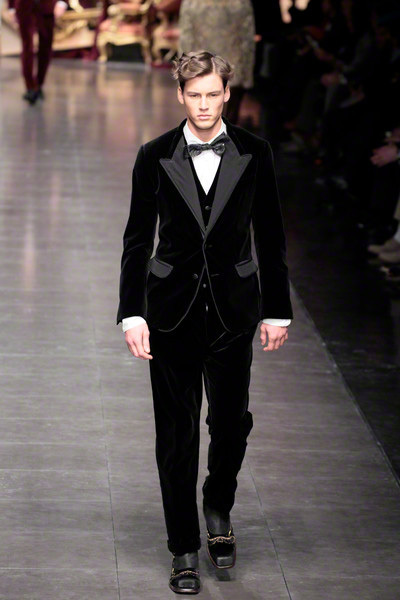 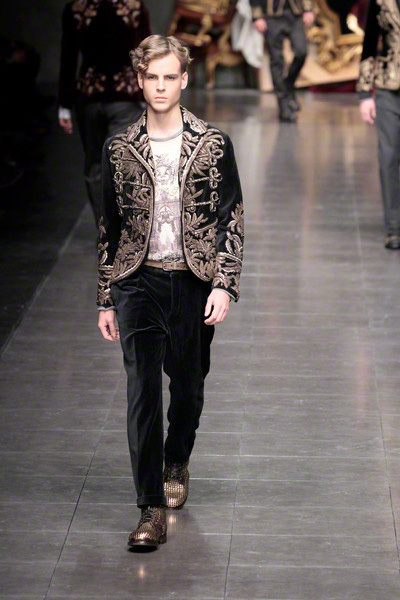 The full looks, as they were presented on the runway, maybe were a bit too luxurious for most men. 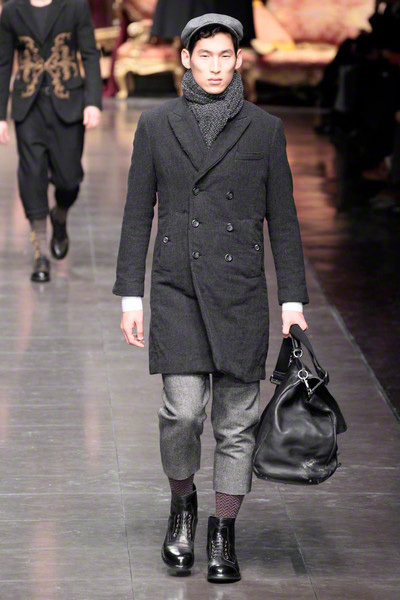 Yet there were enough sole pieces to mix and match into a man’s everyday wardrobe.